An analysis conducted by the German Federal Office for Radiation Protection, officially known as Bundesamt für Strahlenschutz, reveals the phones that emit the most radiation, and the results aren’t necessarily surprising. The research determined the level of radiation during a call and was based on what is being called the specific absorption rate, or SAR. Basically, a higher SAR indicates more radiation emissions, so those who consider such details a key factor for a potential purchase should look for the phones at the bottom of the list.Phones emitting the most and least radiationXiaomi Mi A1 is the phone emitting the highest level of radiation with a SAR of 1.75 (watts per kilogram), as presented in this chart put together by Statista. OnePlus 5T is the runner-up, followed by Xiaomi Mi Max 3 and OnePlus 6T. 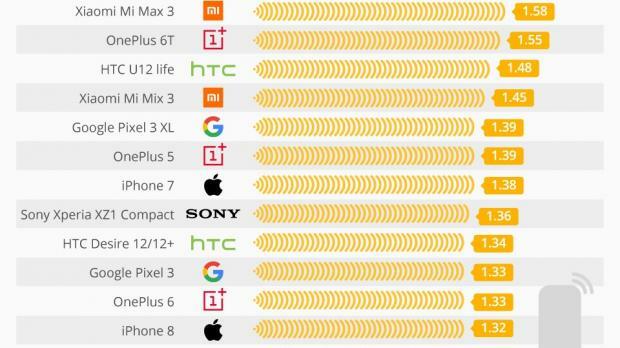 Both Xiaomi and OnePlus have four phones each in the top 15.
iPhone 7 is the iPhone model that emits the most radiation with a rating of 1.38, while iPhone 8 is a few places down the line with 1.32. Google Pixel 3 XL is number three in the chart with 1.39. When it comes to the lowest emitters, Samsung’s models are by far the ones you should go for. The Galaxy Note 8 is the leading model with just 0.17 watts per kilogram, while the Galaxy S8+ is pretty close with 0.26. The Galaxy S9+ emits just 0.29 watts per kilogram, according to the same stats. 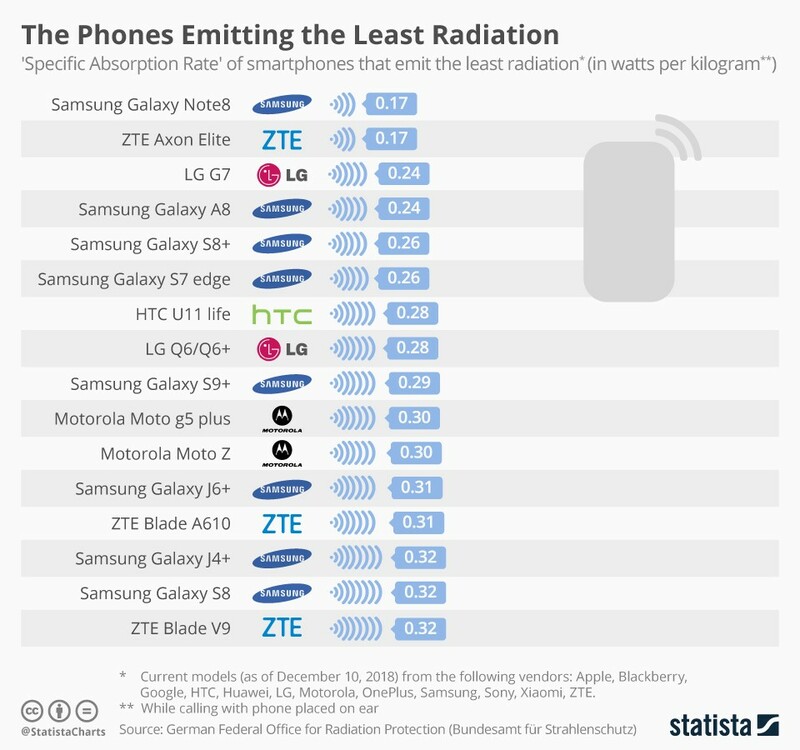 By the looks of things, Samsung pays much more attention to the level of radiation emitted by its phones, as no model from the South Korean company is among the top 15. No iPhone, on the other hand, is part of the second chart that concerns the phones emitting the least radiation.